Getting found online is critical – SEO work essential. But what happens when people arrive at your site? We know many who have steady traffic, yet get few leads or sales. Truth is, that standard contact us page or subscribe form isn’t enough today. A WordPress website can do much more to engage visitors. As Winston said, ‘…when your ideal prospect comes to your website, what do you want them to do?’ You obviously need a compelling story or offer, plus multiple systems to help visitors interact with the business. There must be multiple forms, chat box options, signup and tracking systems, making it painless for people to subscribe, or ask questions and get a quick response – Preferably within minutes, not hours or days. As Winston suggested, having questionnaires and surveys can work well too. Colleague Chris Lema said similar in a more recent video podcast. Simply ‘looking pretty‘ online isn’t enough. Good visual design isn’t enough… You need to either sell now, or as Winston said, at least capture their email or phone number, done through a signup form – Then, have a quick (under 30 min) followup process, be it email, or even better, by phone. For other ideas on lead generation, check out our recent article on marketing automation…. Here we review lead capture and advanced e-marketing tools like Drip, Convertkit and more…. Then there’s some amazing chat systems that I think work even better, especially for eCommerce and service-based business, keeping the prospect engaged, especially when tied into a good followup system or CRM. Also, tracking is important with live-time traffic analytics like Clicky and perhaps add in Hotjar, another new technology that can help you discover what visitors like and dislike about your site. Another person you should follow in this area is Brian Massey, the conversion scientist. Often you don’t need an SEO guru or even a web designer. They know little of these areas. You need a geeky ‘draftsman’ and engineer… The goal is to optimise your site to make Google and visitors love it. February 2017 Update – Those of you who have setup WooCommerce sites will know the frustration in establishing credit card payments. Most just use paypal which is easy to setup and works. But it has limitations, like transferring money to your banking account, which takes time. For a better credit card payment system we recommend they use local banking gateway providers eway, payment express and my favorite, Paystation. But each of these has a degree of complexity and requires paperwork with your bank to open a merchant account, which can quickly overwhelm some as long forms are filled out and references checked. Weeks often pass. Many people just give up and keep using Paypal plus internet banking payments. eWay, Payment Express and all the other website-to-bank money transfer [gateway] providers have their own monthly fees too. (Payment express example). N.B. The big banks seldom do this chore, but work with these specialty companies who know about eCommerce websites and can connect them to the local banking system. Banks don’t know this stuff and asking them about it only tends to confuse everyone. These $50-150/mth fees are fine if you sell thousands online. (Note this excludes any additional fees your own bank or visa/mastercard may want to charge you). But for smaller businesses or startups with under a $1000 dollars in sales per month or perhaps have seasonal sales, then these hidden/monthly fees can be annoying, meaning for most, Paypal is the only viable option, with their popular pay-as-you-go system. The other concern here in NZ is that not everyone likes using paypal. Certainly they have aggressive, somewhat unfair policies around payment reversals that upsets many sellers. But buyers don’t always like them either. We have a client who sold specialist craft items online using Paypal, but when she added a Paystation gateway for credit cards, in addition to her Paypal and internet banking, sales improved 30%. Seems many New Zealanders didn’t trust or like Paypal as an online payment option. The fact they often ask buyers to signup for their own Paypal account, doesn’t help. Stripe or Paypal for WooCommerce? Stripe is very popular and respected in the US, UK and Europe. It’s a bit like Paypal with a simple setup and no setup or monthly fees, just 2-3% taken off the transaction on the way through to your bank account. You don’t need a merchant account with your bank either, just go through a simple verification process, then enter your bank details into Stripe, telling them where the money will be sent. But like paypal, transferring of your money into your local banking account is not automatic or overnight, but with Stripe you can set it to do this automatically each week or every few days. Integration with Xero accounts is also possible. They have loads of other neat toys for us geeks to play with that can simplify workflow as well as help customer support and retention. There’s also many other benefits of Stripe, listed below. Stripe can be setup by amateurs, but they’re really good for us developers too, who want to setup something special or different. 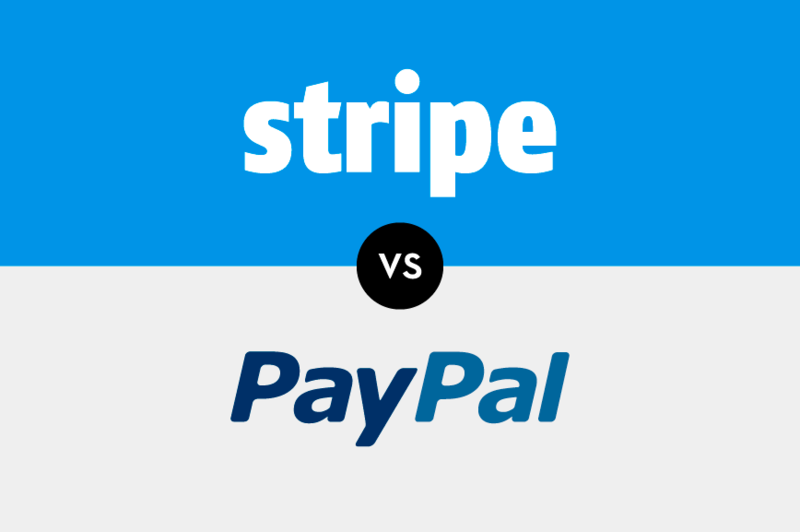 Technically, Stripe is superior to Paypal in several respects and their support is better. The other thing we love with Stripe, is they’re ideal for those running WordPress subscription or membership sites. These need the ability to establish recurring, regular monthly or annual payments. If you sell various membership or online training packages using WooCommerce Membership, Sensei, Learndash or similar tools, you need a viable, automated or semi-automated payment option. At present, here in NZ, it’s difficult. Arranging regular credit card payments for this sort of monthly-paid service through existing NZ credit card providers is a nightmare and expensive. I’m told Payment Express have a solution, but is costly, only suitable for larger companies running steady transaction volumes. Paypal can work, but it’s not perfect or very user-friendly. Stripe though is relatively easy and inexpensive. In some cases a single Stripe account can work with multiple websites which is handy. Portable too, should you need to move websites as Stripe tracks your client list. Finding a theme and adding a few plugins is just the beginning for selling online. When installing Stripe, there are a few additional site chores needed beyond establishing an account and adding the plugin. You’ll need SSL, update your security, check site speed, any hosting software updates and an SEO/mobile review to ensure Google likes the site. These are really just the standard eCommerce checklist for anyone using WooCommerce or other cart. If you’re uncertain of these items, we can assist. Anyone can open a Stripe account now. If you need help with all this, just send us a note in the form below and we’ll advise you when they come online or perhaps set you up as a beta user this week. My WooCommerce Cart is Broken – Do I need a WordPress Geek? We come across many with broken or sickly shopping cart sites using the popular WooCommerce cart extension. Most often, the business has employed a web design ‘expert’ in WordPress to build it, but it inevitably fails to meet expectations. From my developers perspective, WooCommerce is a separate website application. The fact it’s a WordPress plugin is ‘nice’, but when fixing problems, it’s not my ‘WordPress’ knowledge I most often rely upon. It’s my understanding of shopping cart workflow and coding. Having built carts using other platforms like Magento, Shopify, CS-Cart, osCommerce and others helps too. Just knowing and being ‘expert’ in WordPress is seldom enough when it comes to sorting out tricky problems or configuring a cart site correctly. WordPress experience is useful, but not enough on its own. That’s right, a WordPress ‘expert’ likely knows very little about a WordPress site running the WooCommerce (or similar) shopping cart addon. Here’s a listing of some of the things we work through that are specific factors towards building a successful shop site. SEO – This needs special consideration for carts. Adding an SEO plugin isn’t enough. Migrating a shop from another cart system is a hidden nightmare too, the new WooCommerce site generating hundreds of crawl errors. Your Google ranking will plummet, taking 6 months to recover traffic – The opposite of what was expected when migrating to the Woo platform. It’s not the fault of WooCommerce, just how the designer set it up, not realising the special structure needed. Banking gateways – Please look beyond Paypal, which has excessive use of payment reversals that annoy sellers. And using providers like DPS is often too costly for those starting out. There are now better local options for small businesses like Paystation, eWay, Polipay or Paymate. Shipping – The normal shipping tools, add-ons for WooCommerce are largely designed for the big US market and of little use here. Can WooCommerce be setup to work with NZ courier providers? Cart invoices – The default Woocommerce system of generating and managing invoicing is very basic and far from ideal for NZ. Setting up GST, generating accountant-friendly invoices, downloadable PDF copies, packing slips etc is missing. Email – Notifications from the site to advise of customers and store owners of orders needs to be reliable. Spam filters have become increasingly aggressive in recent times. You can’t have site emails going into peoples spam folders! A plugin can’t fix these issues and needs expert intervention. Wishlists, rewards, abandoned cart tracking – These are popular tools in other high-end carts. Can WooCommerce provide these options? Absolutely. Smart coupons, trade discounts, affiliates – Offering specials to individuals and trade pricing to resellers or affiliates is important today. With added coding, WooCommerce can generate special discounts to individuals or user groups on an individual product or category basis. This more personalised approach can provide a huge boost in sales and customer loyalty. SSL certificates, Site Hardening – Hacked sites, backups, lockouts. SSL certificates and security hardening and backups are the forgotten children to most eCommerce builds. A hacked WordPress site is often an easy fix, but not so an eCommerce one. Prevention is way better (and cheaper). Most of these items are quite foreign to web designers or design agencies, be they expert in WordPress or other website platforms. Questions? Give us a call. A Slick Shopping Site for under $2000? But is it possible or even advisable to build a small business cart site for less than $5,000? Instead of hiring a web designer to create a custom design from scratch, spending weeks in a costly design project, a more affordable alternative is to start with a pre-built design, called a theme. These range from US$20-100 ea. We can load and setup these for you for a modest fee. (I’ve known many web designers to buy these, then sell them as their own unique design, adding a huge markup. It’s easy for me to check). Sites like Themeforest provide a marketplace for hundreds of designers and developers to sell their designs. Instead of making a design for one person, they can package it up and sell it to hundreds, at a very low cost. But there are risks. No pre-sale check of quality, performance or suitability is possible, only reading dubious reviews. Over the years we’ve purchased loads of themes and plugins, the majority eventually discarded. My advice is to keep it simple. Avoid big sliders, all ‘multi-purpose’ designs, or boasting parallax, visual effects and special editors (e.g revolution slider, visual composer etc). These fancy things needlessly complicate the site build, often reducing visitor engagement, lowering site speed, reliability, even search ranking. If you follow these simple rules, keeping things simple, then the setup will be quicker and trouble-free. With most of the visual design and associated coding now done, you’ll also save 50-70% in both time and costs. This can allow more time [and a budget] to invest in other aspects like improving the cart functionality, speed, visitor signups, marketing, google ranking and site security – All items web designers tend to overlook or exclude, yet essential for a successful, high traffic cart site. What isn’t always realised, is these pre-built themes do not give you a finished design. Uploading the theme doesn’t instantly display what you see on the demo site. Careful configuration of the theme is needed. If you don’t know WordPress well, then setting up the home page, widgets and menus can get messy. Some popular add-ons like visual composer and various sliders can also confuse, making it harder, in spite of the claims made for these tools. We’ve known newcomers spend weeks on all this and still get it wrong. But as a coder who has built hundreds of sites, we can do this theme setup very quickly, adding in things others will miss. Once this is done, you just have to add in your own content, images and products using the familiar WordPress editor tools. We’ll also sort out any webforms, email, galleries, analytics etc. A team effort. A recent entrant in my recommended theme listing is themegrill. Their eStore theme is clean, beautifully designed and well coded, avoiding excessive overhead or needless add-ons that only slow sites down. The documentation is good, but if you get into trouble we can quickly help tweak any of these themes for colours, fonts, menus, adding in supplied logos, build forms, galleries, social linking etc. We also take care of critical ‘non-design’ items like security and performance (read more). With the core WordPress site design now built using a theme from the above list, we can add in the shopping cart and products. (This is a separate module and not part of the theme itself). The best is WooCommerce, the free WordPress shopping cart plugin, used on over 5 million sites. However as in any cart setup, there are countless ‘tricks of the trade’ to make it work right and meet expectations. Even local issues around invoicing and banking gateways are important. We list most of these in another article. Note many themes are marked as Woocommerce-ready or compatible. Here the coder just did additional work to ‘prettify’ the product, cart and checkout pages. Yet any good standard theme will still work fine with the WooCommerce plugin. You can even use a shopping cart theme without the cart running, even putting it in catalogue or a quoting mode. Handy for some service businesses. Once running, SEO and related work is required to ensure you’re found in a Google search. SEO and building traffic is another separate budget and seldom included in a website build. For instant traffic, Google Adwords is often needed when first starting out. However as you’ve saved thousands in web design areas, you’re already ahead of the competition. A lower cost site means you’ve money left over for online and offline advertising, which is normally spread out over several months, helping cash flow. Reference. eCommerce shop sites need more than good looks. So, here’s the typical job list we work through. What now? Fill in the form below for a quote and chat.